There are many phenomenal neighborhoods in Studio City, but few compare to the coveted enclave north of Moorpark Street, between Fulton Avenue and Coldwater Canyon. Residents enjoy their afternoon pick-me-up at M Street Coffee, a friendly neighborhood coffee shop with delicious treats and delightful drinks. Friends and neighbors come together to celebrate holidays with a unique flair! Halloween’s Boney Island is a spooky delight and the unbelievable 4th of July parade features fire trucks and family-friendly festivities. People drive in from all over the city to experience these events – and you could enjoy stepping outside to enjoy them right on your own street! 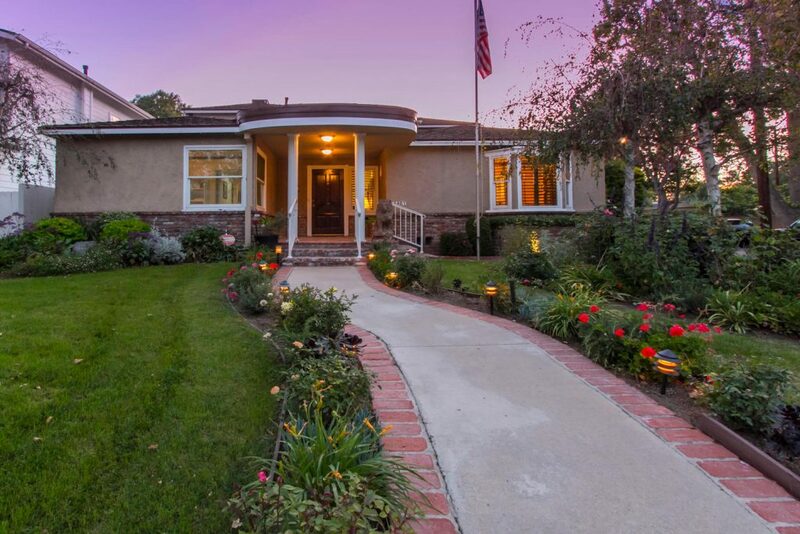 4461 Van Noord Avenue is the perfect property in this incredible neighborhood. Situated on a corner lot with 5 bedroom, 4 bathroom, and over 2,700 square feet of living space. Enjoy summer evenings by the pool, sunset views from the master balcony, and quiet strolls along your beautiful street. Located in the highly sought after Dixie Canyon Elementary district (per availability), this is an incredible family home! Call Alan to schedule a showing today!